Maps, puzzles, word games, slide rules, children's scribbles, toys in the attic. If you took the jazz tradition of theme and fearless variation and put it through a funhouse prism, you'd get the sense and sensibility of the Northern California band Bristle. 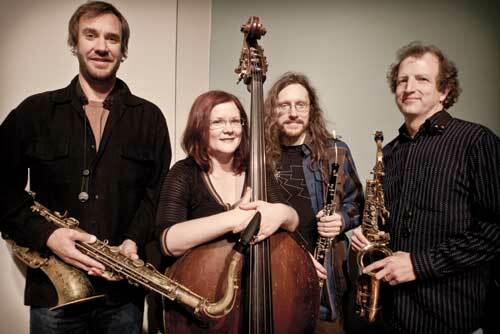 The surprisingly hard-edged sound of this drummer-less reeds and strings quartet comes from their go-for-broke execution of off-kilter, eccentric charts. With saxophonists/clarinetists Randy McKean and Cory Wright setting the course, bassist Lisa Mezzacappa holding down the groove, and Scottish wunderkind violinist/oboist Murray Campbell providing color commentary, Bristle crams modern jazz, chamber music and garage rock into the same clown car and hits the road running. Bristle christened their debut CD Bulletproof in joking tribute to themselves for surviving the intricate complexities of McKean and Wright's compositions. Feeling it was also an apt description for Campbell's seemingly indestructible young niece Cali, whose fearless jamming on the toy accordion with the band during a practice session inspired the tune Wheezy Breezy, the group chose her as the album's cover girl. 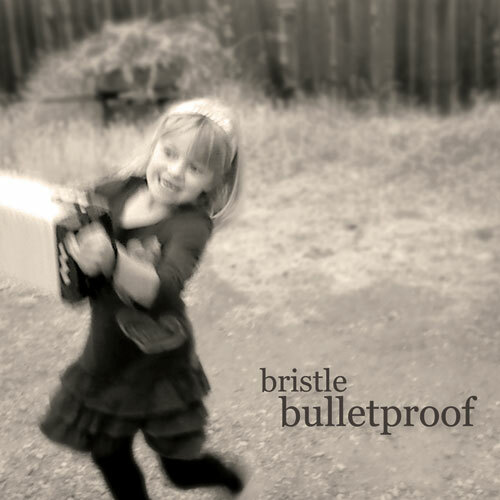 Bristle hopes its listeners feel similarly invincible after experiencing Bulletproof.